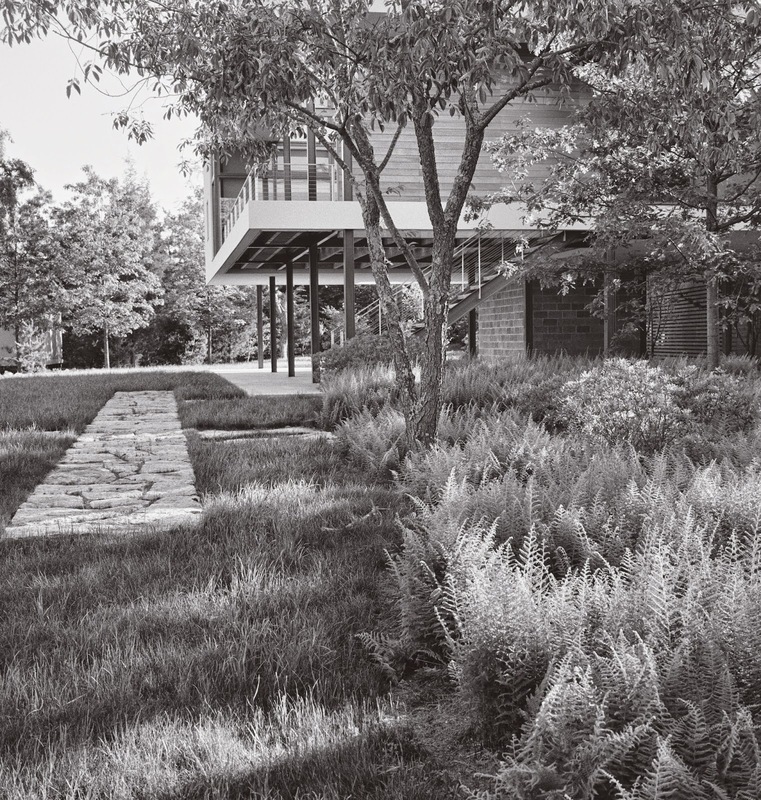 grounded design by Thomas Rainer: Has ASLA Abandoned the Residential Garden? Has ASLA Abandoned the Residential Garden? In just a few weeks, the recipients of the American Society of Landscape Architect’s 2014 Professional Awards will be hustled across the stage in Denver for a quick handshake and photo-op. The purpose of the ASLA Professional Awards is to “honor the best in landscape architecture from around the globe.” Although, the society recognizes accomplishments in research, land planning and analysis as well as communications, the majority of submissions are in the general and residential design categories. Here, are completed designs of every project type, from corporate campuses and public parks (General Design) to rooftop terraces and country estates (Residential). Given the talent pool, the best landscape architects of our time, practicing in diverse regions of the country, indeed, around the globe, one would expect a range of work across a broad spectrum of landscape styles. This would seem to be particularly true of the residential design category. In theory, professionals submitting in this category must respond to clients’ needs and preferences as well as site conditions and varied architectural styles. The potential for diverse ideas, inspiration and just plain eye-candy seems pretty good. Unfortunately, and ever increasingly, the anticipation of professionals and public alike quickly fades when the winning residential designs are revealed. Taken as a group they are almost invariably contemporary residences, actually modern in the true sense of that word—minimalist, rectilinear, frequently flat roofed, glazing galore, devoid of ornamentation. The landscape response resembles a composed salad: Beets here, shredded carrot there, a well-placed radish, a small pile of asparagus served on a bed of lawn. The problem with this comparison is that the salad described is much more colorful than the award winning projects and may contain a greater variety of plants. Yet the same jury selects the General Design awards. Within this category, gardens with intricate planting are ever increasingly among the winning designs. Last year, three gardens and the famed Highline (Section Two)—with its exceptional planting design—captured awards. The growing dominance of gardens in the General Design category is the exception that proves the rule. What is the jury signaling? Status anxiety is at the root of this dilemma and is nowhere better displayed than in the ASLA residential design awards. Landscape architects are highly trained, licensed design professionals, constantly forced to distinguish themselves in the popular mind from landscapers—the hoi polloi “mow and blow” crowd-- and from gardeners with their unruly plants. If the ASLA national seal of approval were stamped on a residential garden, rather than a landscape with domestic adjacency it may be hard for your above-average landscape architect to take. After all, these professionals already labor in the shadow of a far greater being: The Architect. Here is a fact: Landscape architects depend on architects for work. While “seamless collaboration” is often celebrated, it is seldom the case that a landscape architect is hired early in the design phase. When that does happen it is often because the architect understands the value his landscape counterpart brings to the job. Essential for the architect is the landscape architect’s ability and willingness to highlight the house. Ideally, the landscape architect and architect would challenge one another to greater aesthetic heights, a true collaboration. Instead the landscape is subjugated to the house. The architect’s traditional role as lead or prime designer is well established. Because award winners so clearly take their cue from the residence the landscape can’t be more than a green frame for a piece of contemporary architecture in the modern style. It's "shrubbing it up" without shrubs. In many instances it can be described as Kileyfication. Not that I don't admire the late Dan Kiley’s work, but isn’t there more? The winners are good looking landscapes, handsome in a Ken doll kind of way—all variations on a similar theme. There is, in fact, another jury sanctioned option for professional designers who are less interested in the Kiley approach. Instead of a strict composition, the Genus Loci dictates. Here’s where a hackneyed phrase is useful, “We wanted it to look as if we had never been there.” Since a garden is an overt expression of human intervention in a landscape, this approach generally involves a landscape restoration of whatever native landforms, hydrological systems, and native plants have been displaced by the construction of the house itself or other historic forms of human intervention—farming or mining, for example. Visit the ASLA awards website, look at the photographs. Oddly, these images increasingly are submitted in black and white. Read the jury comments. Year after year, jury after jury heralds “restraint” above all else in residential landscape. Why this celebration of restraint in the built landscape, since it downplays, in theory and in practice, the landscape architect’s own contribution? Yet, new groups of nine professionals consistently select another round of award winners that share more similarities than they display differences. You want eye candy. Every year you get a handful of red and green M&Ms. A contemporary Manhattan town house project from 2011, prompted this comment from the jury, “It’s astonishing how much vegetation they packed in there, yet it doesn't feel at all as if there is too much.” First, is the strange use of the word “vegetation” to describe plants, but more important is the tacit assumption that too many plants is an all too common downfall, indicative as it is of a lack of restraint. Confusing a residential landscape with a garden is almost too easy. ASLA juries make sure that won’t happen, at least at the national level, by upholding an unstated standard or perhaps expectation for national award winners in this category. Very appropriately, since we seem to be stuck in the modern period, it is highly reminiscent of the Good Design concept that MOMA put forward in the 1950's, except that MOMA was completely forthright about it. The ASLA Good Design standard can be summed up in a phrase from Daniel Kaufman, the curator of those mid-twentieth century exhibitions. "A good design will never pretend to be more than one thing at a time,” Mr. Kaufman declared. Over the last decade—before and after the economic unpleasantness--that "one thing" is obvious: It’s about the house. There are a few gabled roofs among the award winners but very few. One of these, from 2012 is an old Rhode Island farm turned “family compound.” The landscape is showcased mostly in black and white photography. Not surprising, this award winner epitomizes the “We wanted it to look as if we had never been there” style. The call and response between submitting firm and the jury says it all. Landscape Architect: The project artfully integrates a network of restrained architectural and landscape interventions with the existing fabric, creating a lucid landscape structure and illuminating the peninsula's striking beauty. 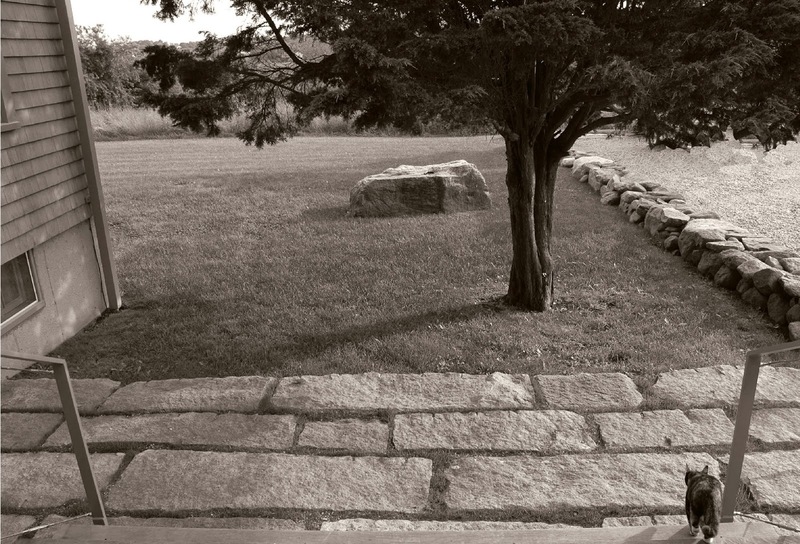 2012 ASLA Jury comment: Simple can be so beautiful. It feels both contemporary and permanent. While the pages of Dwell may suggest otherwise, not all people who commission contemporary modern homes disdain gardens full of plants. Dwell magazine’s tendency to focus on more obtainable modernism suggests many of the homeowners featured on its pages have already blown their dough on the house and its minimal but tasteful furnishings. Not everyone has that problem. People who engage high caliber architects and landscape architects usually don’t lack funds. Lush planting around a neo-modern house looks fabulous. Examples exist, believe me. The client base isn't dictating the standard, so what is? The more architecturally oriented publications seem to be stuck in a single style, preferring to explore the possibilities implicit in the modern approach by bringing to it advances in building materials and an emphasis on sustainability. Many highly successful residential architects work in other genres, they just don’t win AIA awards and their work won’t be found among the annual Houses of Record. So it is with landscape architects working in the residential realm. The majority have not abandoned the garden with its inherent exuberance in favor of purity and restraint. One assumes, given the numbers of submissions, and even a cursory knowledge of the profession, they haven’t stopped submitting these residential landscapes to the ASLA awards. Not all wealthy people (let’s just get that out of the way) want a contemporary residence constructed on a top of the line, highly sustainable stormwater management system with extraordinarily discrete planting. The rich may different from you and me, but many want a garden and most can afford to have it lushly planted and well maintained. The 2014 winners provide gardeners and landscape architects who design gardens with a reason to hope. The changes are fairly subtle. Ponder them yourself here, my thoughts to come. Susan Hines was the founding editor of ASLA's LAND Online and The Dirt. She served for several years as a writer/editor on the staff of Landscape Architecture magazine (LAM) and is a recipient of the Bradford Williams medal for writing in LAM. A former Andrew W. Mellon Fellow with the Frederick Law Olmsted Papers Project, Susan earned an MA in history from American University. She occasionally contributes to American Gardener. I remain astounded at the disconnect between the training a landscape architect receives and the need for understanding the wishes of residential clients. In my area most LAs are educated at the University of Georgia. They most often come out of that program with the smallest amount of plant knowledge. And of course the only plants they are introduced to are native. I have employed several of these recent grads over the years and they have all been frustrated at how unprepared they are for the work and how misguided their training has been. I very frequently end up "fixing" projects designed by landscape architects that very expensive and heavy on hardscape elements but are lifeless and uninteresting and devoid of any kind of intelligent planting. This is a common theme around here. Many of my garden designing friends comment on this all the time. We get to clean up the messes made by LAs long after the budget is blown and stupid mistakes have been graven in stone. A residence should not be treated similarly to a park or a mall. The intimacy of everyday living requires intimate surroundings. People like living among beautiful things and diversity is essential to beauty. 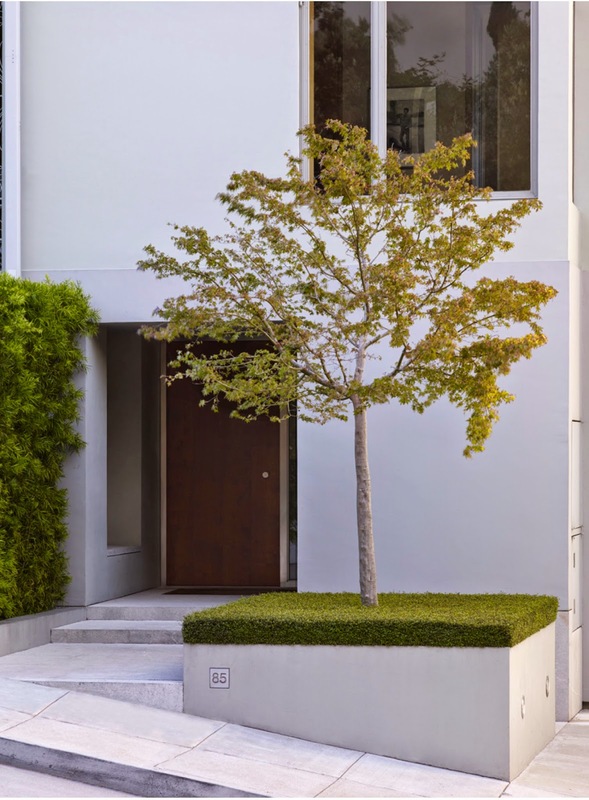 While a striking landscape with one well-placed tree, a stark angular retaining wall and a geometric lawn is striking and thoughtful its a bit of a one trick pony. Imagine living your days in that landscape. You may grow to hate that tree. I majored in art and got my training in nurseries and at the hands of talented designers of all kinds. There's not a landscape represented here that I couldn't sketch up in 30 minutes at a coffee shop while chatting with a friend. I'm not bragging - I'm saying that that is a damned shame! Landscape architects, with their extensive and expensive education, should rightfully earn their place at the top of the field but most often the only real influence they have is in prescribing the process of drawings and fees and drawings and fees. A real garden is a made thing in a multi-dimensional space and is intricate and complicated and deserves the best that a designer has to offer. Landscape architects, in my opinion, aren't thinking that way. One of the impressions I immediately had after seeing some of your moving garden creations was how shallow and under-planted most landscape architectural plantings are. Your gardens were a clear challenge to me to bring a more thoughtful, more plant-focused aesthetic to garden making. I agree completely with your comment. Very thoughtful and well put comments, David. Had to LOL at the "lone tree" statement. I agree that diversity is essential to beauty. I love gardens, plants, art and design but am repelled by landscape architecture as a discipline, including the events and programs sponsored by ASLA. I could not put my feelings on paper as eloquently as Susan has but agree with her post. Lushness, beauty, diversity of plant species and an emphasis on plants over "hardscape" are certainly all things that I think make a garden - and a landscape - beautiful. I do have the money to hire a landscape architect but never would - the types of residential spaces celebrated by their industry are soulless. I share the critique of my landscape architectural colleagues and the unfortunate result of not paying attention to planting design. It's a big reason I blog here. But there are many wonderful exceptions to the rule, some here in the U.S, but many, many wonderful plantsmen in Europe who work under the moniker of "landscape architecture." I think Susan is right to make this criticism, but for me, calling an entire industry "soulless" ignores the diversity of this broad field. Spot on. I've been disenchanted by this topic for quite awhile, and am relieved to learn others acknowledge the divide between ASLA and residential gardens. Thank you! This is an interesting critique of residential LA design. My question is this: To what extent do you think these "trendy" award-winning residential gardens actually set the tone for ordinary people figuring out what to do with their yards? Is it like the fashion industry, where the extreme couture designs of the runway trickle down (in a watered-down form) to the racks of Macy's? Or do most gardeners just ignore all these modernist designs completely? The other issue that comes to mind is: aren't these minimalist, modern garden designs somewhat out of touch with the growing movement toward layered, richly planted designs that are supposed to be healing our scalped suburban landscapes? The editor of LAM -- Bradford McKee when I was subscribing -- always seemed vocal about LA's role in social justice and environmental issues. It seems odd, then, that ASLA would be championing these minimalist residential landscapes, when it seems to me that they ignore the moral imperative pointing toward plant-driven, environmentally-mindful design. Excellent questions! With regard to the trickle-down effect: The pages of the “shelter” magazines offer a clue. As I noted, Dwell, does reflect this modern landscape aesthetic but it is hard to say if that is an editorial decision or a homeowner decision. If it is the latter, is it is based on preference or lack of funds? The other shelter mags are slightly more high-end and tend to feature many interior and exterior styles. However they seldom highlight a garden per se, unless it is a rather fabulous one. The modern gardens I described are anti-fabulous because fabulous is risky and easily is so easily interpreted as overwrought. Also, the vast majority of homeowners who want a garden will have skin (and muscle) in the game. The number of folks who, inspired by a couture design, run up a similar frock on their sewing machine is practically non-existent, at least these days. The fashionistas among us wait impatiently for the trickle-down to the TJ MAXX, or look for something similar at the thrift store. As to the greater question of whether landscape architects run the risk of alienating themselves from the public at large, as architects have done, much to the disservice of our residential realm (Oh the ubiquitous palladium windows, why have we not been spared?) That is a topic that is very worthy of addressing. You other point is equally relevant. There is, and should be, a divide between ASLA and the Society’s magazine—if the magazine is to be taken seriously at all. And LAM must be taken seriously because, really, it is the only outlet for the profession. 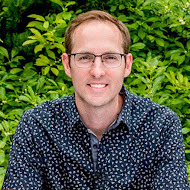 Brad McKee has upheld the standard set by his predecessor , J. William Thompson, who named the editor’s page, “Land Matters” and who was committed to, what he called, “Stirring the pot” i.e. challenging his fellow landscape architect with taking on many issues of sustainability and social responsibility. Brad McKee understands the value and relevance of this charge very well. 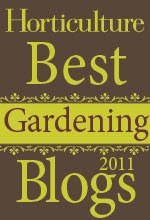 I tried to access the other awards but could only bring up the Lurie Garden Presentation. I am a big fan of this type of landscaping, sustainable, layered, patterned in unusual ways through color, form texture. Piet Oudolf is not trained as a LA and many of the most interesting designers are not. Roy Diblik of Northwind Perennial Farm refers to himself as a "Plantsman." I have had three LA's through the years and have just about pulled out every plant recommended. Your other commenter was correct, the LA's do not look at the way people live, who's using the garden (dogs, children) and how much care will it receive. Wow, Susan, what an intelligent, insightful piece. It seems like some smart LA's recognize this phenomenon and have decided to apply for APLD awards. I just hope they don't squeeze out the LD's! Nice Information. Really great informative blog post here and I just wanted to comment & thank you for posting this. Thanks a lot.. Thanks for this, Susan and Thomas, very much needed. I've dealt with such uppity mindsets against the horticultural dimension of LA work since college - 26+ years ago. Now, the same it seems just throw on buzzwords to update it. Recently, I heard someone who's around his area's few LAs, smugly state that "landscape architects don't design residential projects". Fortunately, not all LA's are so uber-"restrained" as some awards recipients would imply. A strong minority are quite the opposite, knowing how to design plants with hardscape, or even not cramming vegetation that matures to 5-10' within 12" of paving. Super writing from Susan. I have another word for "restraint" that might help discourage this ubiquitous approach: constipation. I have to give you credit for my excitement and passion for landscape design and architecture. Your blog was always a 'one-stop-shop' for all things related to landscape design and architecture and in my last couple years at NDSU it became a great late procrastination tactic. Nice blog ! This was extremely helpful and informative for all . Thank you for sharing. What a great post. And so nice to see a cat in one of the photos. Lovely post! The landscape industry has certainly changed design styles over the years, and while there have been improvements, we shouldn't lose the natural beauty of residential gardens. Well written and thoughtful entry. I can't wait to see your work in a book. Please be sure to let your fan club know when it comes out. Look forward to following you on the speaking circuit. Keep up the great work, and let us not have to wait too long to see the next blog entry!! As a horticulturist I can buy into many of these points and have probably been overheard expressing some of the same opinions, I think Susan has a couple of points that are off base. I take issue with the following points: "The modern gardens I described are anti-fabulous because fabulous is risky and easily is so easily interpreted as overwrought." This statement is disturbing because it seems to say that the natural or farm landscape requires some sort of manipulation to be fabulous and that framing it is not enough. I'm referring to one of your examples. Second: I disagree with this statement in part "...the garden with its inherent exuberance in favor of purity and restraint." Plant love happens to be multi-dimensional and I feel that Susan is using a very limited definition of garden as a highly manipulated space or a space that has impressed itself on another space rather than arisen from it. Having seen some of these plant lists for the spaces in the examples, I know them to be creative and in some cases highly complex. Some require a type of management that is challenging. Third: "The rich may different from you and me, but many want a garden and most can afford to have it lushly planted and well maintained." The wealthy owners of these homes have bought into this aesthetic, they didn't buy into a "lush" aesthetic. People who want gardens still buy gardens. I design them all of the time, but some don't want them, and that is just personal taste. The awards don't necessarily reflect the market, and that might be one of the points I can buy into. Thanks so much for taking the time to make these very salient points about my post, they are well taken. Agreed! I would love to read a book by you. Raises a lot of great questions too! Does ASLA consider minimalism in a favorable way because of drought or it's just what fashionable at the moment? Designers need appreciation, indeed. The award is not only a sort of appreciation. There is another way more than that which is by giving them wide access to show their works. Designers who received the awards are not as a benchmark of other designers who want to become more professional - It's a way to motivate others.